Arjun, a senior Labrador who served with the Karnataka Police, was brought to Voice of Stray Dogs shelter after he was retired from service. BENGALURU: Arjun, a senior Labrador who served with the Karnataka Police, was brought to Voice of Stray Dogs shelter after he was retired from service. The dog was garlanded and given a tearful farewell by the police personnel. The shelter is now running a campaign, #Patriotdogs, on a crowdfunding site to care for 100 more dogs like him. Patriot Dogs, as VoSD calls them, are dogs who have served with the Indian Police, and the Military and Para-military Forces. They have helped track insurgents, detect explosives, been part of search and rescue operations. Their training starts early, when they are a few months old, and they have a full-working life with routine and human company till they are retired at 8 to 10 years. Till a 2015 Delhi High Court order, these dogs were euthanised. “The practice was made illegal and the respective departments would feed the dogs and keep them confined to kennels,” says Rakesh Shukla, founder of VoSD. This leaves the pooches vulnerable to depression and worsen their age-related arthritis. The shelter is looking to raise `25 lakh to build a 10,000 sq foot enclosure and exercise and play area, and provide special medical care that includes renal, liver and cardiac support. Recently, on March 18, 10-year-old Ankur was sent from the Railway Police and he had advanced stage of cancer. “He is now on life support and is being given IVF and antibiotics, so that he does not catch a secondary infection,” says Rakesh. Inspector KK George, who is in-charge of the dogs in Railway Police, says the VoSD shelter is “definitely a very good idea”. “They take in aged and ill dogs who are well into retirement,” says George. “We used to send them to an NGO in Hubballi earlier, but were not satisfied with the care they gave there... dogs would die in a few months sometimes. But at Rakesh’s home, they are cared for well.” George says that according to the rules, the retired canines are to be sent only to animal welfare organisations and cannot be handed over to individuals. VoSD’s first retired dogs were Christy and Chakki, two German Sherpherds, from Kerala State Police. 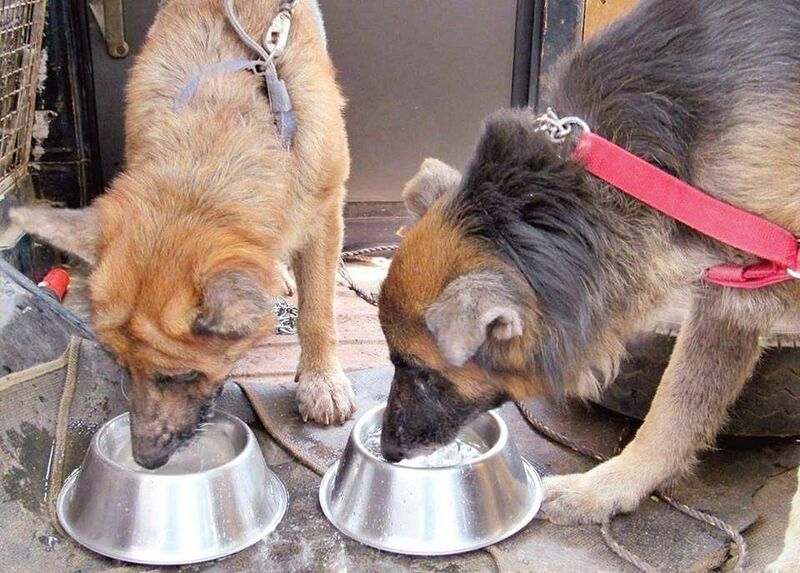 “They were 10 years old and lived for another two at the shelter,” says Rakesh. In the last two years, they went back to playing fetch and lying about in the sun.